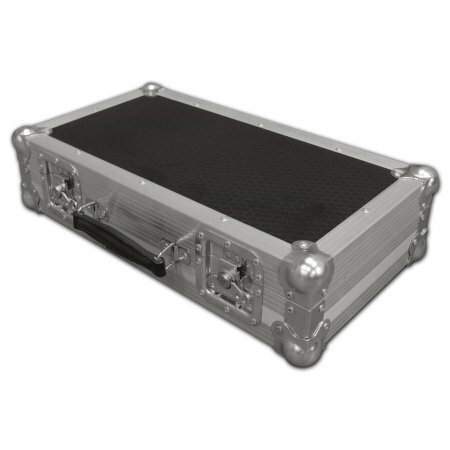 The Flightcase Warehouse custom projector case is a custom built flight case designed to protect your projector whilst on the road. This flight case is designed in house by our design team and manufactured using Penn Hardware with ultra strong hexaboard panels. Sony VPL-MX20 Projector Flightcase 4.85714285714286 out of 5 based on 7 ratings. 7 user reviews. The case has been delivered promptly entirely to specification. This service is excellent, and I really appreciated the advice given. Thanks. We bought this case to protect our camera club projector. Very, very well made and excellent customer service. Highly recommended. Very nice case , professionally made ! I bought this case so I could transport my projector to and from photo lectures. The case is very well made, the interior is divided into 2 parts 1 for the projector the other for the cables etc. Any email communication with Flightcase Warehouse was responded to promptly. Because the case was made to order turn around was slower than buying a mass produced case but you are buying a bespoke case made to your size requirements.